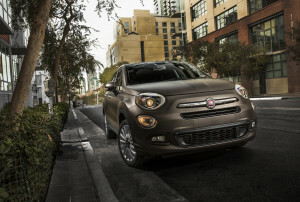 Collision repair body, paint and detailing technicians need to take special care with the low-gloss satin paint job offered as an option on the 2016 Fiat 500X. The crossover, an entirely new model for FCA, sold 2,178 in October, up 92 percent from September. FCA data indicates the 500X has been a growing hit with customers as it spreads to more dealerships following its July debut. The paint’s also available for the Hellcat muscle cars, and particularly lucky shops (with unlucky customers) might find it on Dodge Viper repair orders. But you’re probably likely to see it on the 500X, as models offering the paint start at $22,300. The Bronzo Magnetico Opaco glossy matte option only costs $1,000 more. That’s cheap enough — and striking enough — to go mainstream. As eye-catching as flat or low-gloss mattes can look, one wrong move in the shop on these FCA paint jobs could result in technicians having to repaint one or more panels. “They’re very susceptible to any kind of contamination,” FCA collision repair specialist John Hughes said on a Thursday Guild21 webinar. (See slides.) FCA even makes customers sign a disclaimer that they’ve got a very picky paint. The list of “do not’s” includes everything but “Do not feed after midnight.” Here are some of the best practice highlights of Hughes’ presentation. As always, check with your paint manufacturer (more on this shortly) and/or FCA before the job. Gasoline: Don’t spill drops of gas around the fuel door. “Always use clean towels to protect the clean surface around the fuel door,” Hughes said. Avoid burnishing: Don’t wipe the vehicle with circular motions, and definitely don’t run it through an automatic car wash; you’ll burnish it. Gloves: Touching high hand-traffic areas like the gas tank door, hood and tailgate can polish the matte. “Use gloves – clean gloves, at that,” Hughes said. Protecting: Best practices including only hand-washing the car — one area at a time — and treating the low-gloss finish regularly with paint protection products. “(Paint protection) will absorb oils, grease, almost anything,” Hughes said. FCA recommends Swissvax and Dr. Beasley’s products. Even then, “always, always test it” in a less visible area, Hughes said. Washing: Hand-washing can be done with wash mitts or microfiber towels, but no paper towels or terrycloth, according to Hughes. Use soap made specifically for satin paint, and use buckets with dirt separators/grit guards. Water spots can “permanently change” paint texture surfaces quickly, Hughes said, so it’s best to dry the vehicle with a microfiber towel or clean sponge cloth before it can air-dry. “Wash and rinse, wash and rinse,” Hughes said. Pressure-washing: If you pressure-wash, the fan tip must be 45 degrees or wider, held at least a foot from the vehicle, and with a pressure no more than 1,200 psi. Otherwise, you’ll drive the water into the paint. Wheels: Some wheels are available with a satin coat, and wheel cleaners can affect them. Even a Mopar wheel cleaner can only be used in some cases. Draping: You can probably drape a car cover over the FCA vehicles to protect the paint, so long as there’s no weight placed on the cover or opportunity for it to rub against the car/crossover. Each of the three vehicles described here uses a different matte paint manufacturer at the FCA OEM production level. Hughes strongly urged consulting with and using products from the specific OEM paint company in each instance. 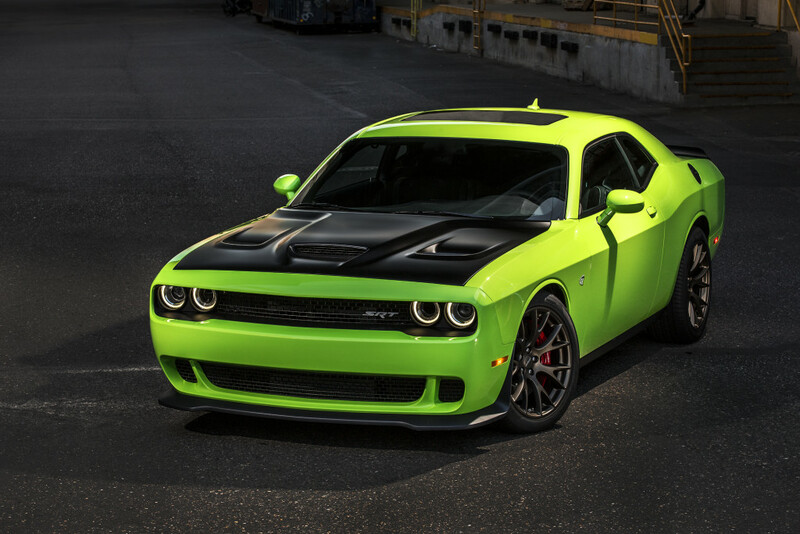 The Hellcat uses Axalta, and you’ll need to use a letdown panel here, according to Hughes. “You have to act like it’s a tricoat,” he said. The Viper actually uses an AkzoNobel refinish coating instead of the typical factory basecoat-clearcoat system, Hughes said. FCA used PPG for an OEM and “Global” refinish system. Hughes also stressed the need to “agitate, agitate, agitate” matte finishes or else the matting agent will sink in a paint gun. Refinishing technicians must use an gun with an agitate capability or agitate until essentially the last second before you spray it, he said.